Welcome to the second to last edition of the Waiver Wire Report. Most leagues will either be winding down for the season or in the thick of the playoffs. If you want an under the radar player to make a late push, you’ve come to the right place. Not using Fantrax for your fantasy hockey league? Check out our Fantasy Hockey Commissioner and find out why you should be. RW Andrew Shaw, MTL (42%): The versatile winger continues to fly under the radar. He has 38 points, two shy of setting a career best. Five of those points have come in the past six contests. He’s playing on Montreal’s second line alongside Artturi Lehkonen and Max Domi, while also getting minutes on the second power-play unit. He’s also produced 63 PIM and 113 hits, giving Shaw value in other areas. He’s a multi-purpose player who will likely find a way to get his name on the scoresheet every game – one way or the other. RW Brett Connolly, WSH (22%): The Capitals third line winger has been having a productive week, posting six points in four games. His linemates Lars Eller and Carl Hagelin have three and five points respectively during that span. It’s become a potent line for the Capitals, who have the NHL’s fifth-ranked offense with 256 goals. 20 of those markers have come from Connolly, who has as many tallies as teammate Evgeny Kuznetsov. Connolly is having a career year, notching 20 goals and 42 points in 70 outings. His previous highs were 15 goals and 27 points, set last season. LW Roope Hintz, DAL (20%): The rookie is centering Jamie Benn and seeing success. Hintz has four goals and an assist in his past five appearances. He’s also getting a look on the Stars top power-play unit, which is where two of those points were generated. Being on the same unit with the likes of Tyler Seguin, Alexander Radulov, John Klingberg, and Benn is enough to justify taking a flier on Hintz. RW Patrick Maroon, STL (20%): Maroon has just 23 points on the campaign, but seven of them have been produced from the past 10 games. 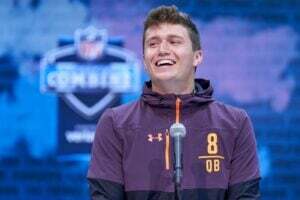 He’s heating up at the right time after many others gave up on him. He’s playing on the Blues second line and second power-play unit. He also has 62 PIM and 122 hits on the year, giving him some bonus category coverage. Maroon has a goal in three straight games, making this the perfect time to claim him. LW Michael Frolik, CGY (14%): The veteran winger is often an afterthought given the other firepower the Flames offer. But make no mistake, Frolik can be productive. He has eight points in his past five games, including a four-assist effort against division rival Vegas. He’s up to 31 points in 56 games this year – a much better scoring rate than last season’s 25 points in 70 contests. LW Kenny Agostino, NJD (7%): If you need a player almost guaranteed to be available on the waiver wire, Agostino could draw some interest. He has three goals and three assists in his past six games, giving him 21 points in 55 games on the calendar. Injuries to the Devils lineup has Agostino playing on the second line and first power-play unit. You’d be hard pressed to find another player with such low ownership that’s seeing the same opportunities as Agostino. D Dmitry Orlov, WSH (34%): The Capitals defender has seen a slight increase in ownership from last week (up 4%), but he continues to warrant more attention. He’s currently riding a five-game assist streak and has 10 helpers in his previous 11 contests overall. He’s up to 27 points on the campaign, just six points shy of his career high. There may not be many point producing defensemen left available on the waiver wire, so don’t overlook Orlov if you need assists. D Erik Cernak, TBL (28%): The rookie defenseman has been a pleasant surprise for the Lightning. Originally called up to fill in for injuries, Cernak has forced Tampa to keep him with the big club due to his strong play. He has 14 points in 50 games, with five of them coming in his past five outings. He also helps out in other areas, notching 12 PIM, 21 shots on goal, a plus-8 rating, 13 blocks, and 24 hits during that nine-game span. If you want a defenseman with category coverage, you can’t go wrong with the Lightning blueliner. D Ben Chiarot, WPG (20%): The rugged defender has five goals and 20 points on the campaign – both career highs. The more intriguing part is that five of Chiarot’s points have come in the past 10 outings. 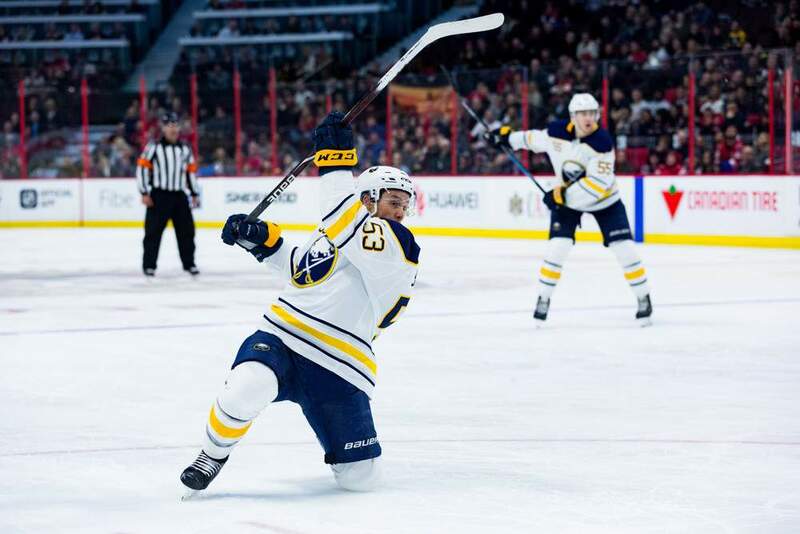 He’s getting more of an opportunity to chip in offensively with both Dustin Byfuglien (lower body) and Josh Morrissey (upper body) out of commission. Chiarot also helps out on the physical side of the game, posting 58 PIM, 150 hits, and 113 blocks. If your league counts those categories, don’t be so quick to overlook him. Did you find Brandon’s Fantasy Hockey Waiver Wire helpful? For more great stuff on the fantasy ice, check out our full slate of NHL content. 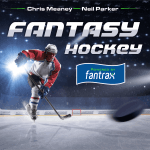 For more great fantasy hockey talk, listen in on Chris Meaney and Neil Parker on the Fantrax Fantasy Hockey Podcast, as they hit on all the injuries, streamers, and recent trends you need to know to stay on top of the fantasy ice. Fantrax was one of the fastest growing fantasy sites of 2018 and there’s no slowing down now! With multi-team trades, designated commissioner/league managers, and drag/drop easy click methods, Fantrax is sure to excite the serious fantasy sports fan – sign up now for a free year at Fantrax.com.